Saturday, Sunday, and holidays: emails and calls are monitored for urgent and emergency requests. 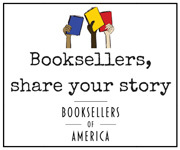 If you have an urgent or emergency issue, please email staff@bookweb.org and use the word "URGENT" in the subject line. February 2019 price special! For the first three months after signup, new IndieCommerce program participants will pay just $25 per month; for the next three months, the fee will become $100 per month, thereafter, the fee becomes the standard $175 per month. For more information about IndieCommerce please visit the Help Desk or email the IndieCommerce staff. IndieLite is a lower-cost, low maintenance e-commerce option based on the IndieCommerce Drupal platform. It is specifically designed for booksellers who are just getting started in e-commerce, or stores that want a website that requires very little time and effort to maintain. 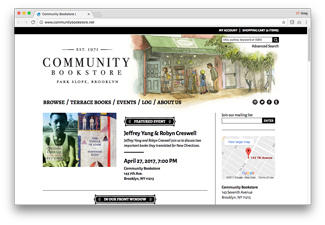 This service offers booksellers the essential tools they need to create a web presence for their store. For more information about IndieLite please visit the Help Desk or email the IndieCommerce staff. Specifically designed for independent booksellers, IndieCommerce is a full featured e-commerce solution with powerful online marketing tools. IndieLite offers the minimal e-commerce essentials for a low-cost web presence that is simple to maintain. To discover which product is best for your store, email the IndieCommerce staff.